In recent months, I’ve heard lots of feedback from UK independent schools as to why they offer Cambridge IGCSE. Their teachers like the courses. The content is good preparation for A Level. The marking of the exams is consistent. What they’re most glad of, many say, is having the freedom of choice. In this way, UK schools are far from alone. Many of our 10,000 schools worldwide have chosen Cambridge IGCSE to supplement or complement their local national curriculum, or to make up a broader international or bilingual programme. 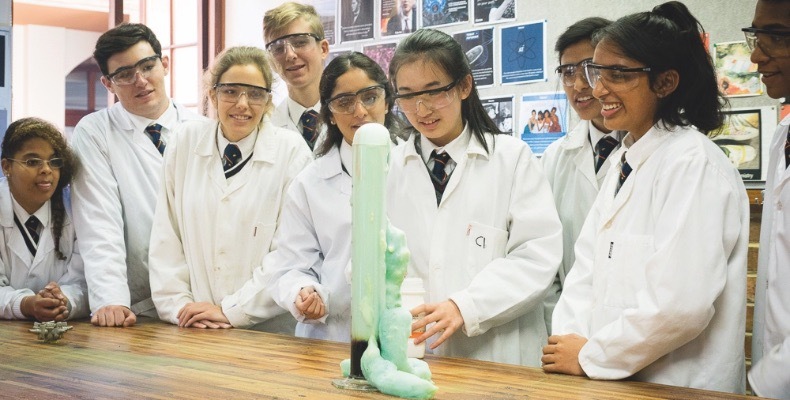 Because Cambridge International doesn’t set minimum entry requirements or prescribe a school’s curriculum in any way, Cambridge IGCSE slots into a vast variety of educational circumstances. Meeting the needs of schools in 160 countries means offering a huge breadth of subjects, and Cambridge International offers the most of any international education provider. 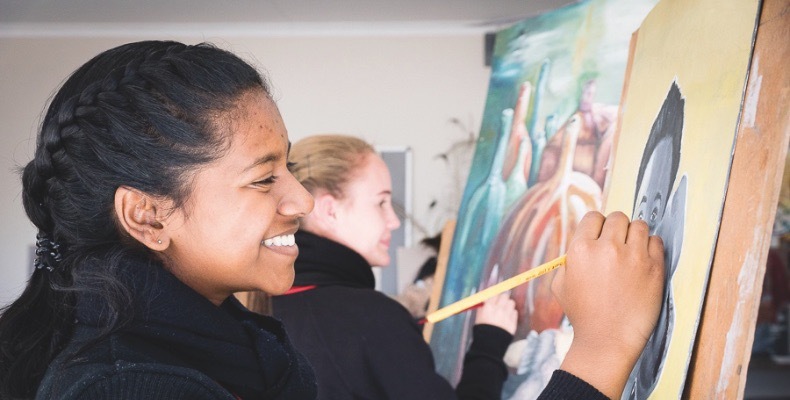 Our 70+ Cambridge IGCSE subjects include Enterprise, World Literature and Global Perspectives, allowing learners to study beyond traditional academic areas. We also have a huge range of first, foreign and second languages to meet the needs of a wide breadth of language learners. The breadth of study at Cambridge IGCSE is also reflected in the individual syllabuses themselves. They are designed to prepare students with the knowledge and skills to progress their studies, but, where the curriculum is especially rich with potential areas of study, Cambridge IGCSEs offer options to allow tailoring to the interests of students and teachers. For example, in Cambridge IGCSE History, depth studies include Russia, China, South Africa, Israelis and Palestinians since 1945, and Core Content explores the development of modern nation states. In this way, the history syllabus isn’t UK-centric. Similarly, Literature in English covers texts written in English outside of the UK including American, Ghanaian, New Zealander, Indian and Irish authors. So, while Cambridge IGCSE is aligned to GCSE in terms of standard, it reflects an international mindset and offers wider choice to teachers in designing an exciting and relevant programme. The choices in Cambridge IGCSE extend to how the learning is assessed. For example, with schools operating in such different contexts, we know it is not always possible to schedule science practical examinations for large groups of students at the same time if the school only has one lab. For reasons such as these, we offer an Alternative to Practical Test exam paper, so that we can assess students’ abilities to conduct scientific investigations, a skill we see as vital to science study. We also offer the option of coursework in some subjects, believing that well-structured and well-moderated coursework is not only a valid and reliable assessment method, but helps to develop skills that students will need in further study and beyond. We know that A Levels contain assessed coursework, and self-directed project work makes up a large part of undergraduate-level assessment too. Where coursework exists within Cambridge IGCSE there is often an exam alternative and our schools choose whichever assessment route is most suitable for them and their students. The final choice available in particular to UK schools is what grade set the student receives. We are able to offer a choice of either A*–G or 9–1 grading in our most popular Cambridge IGCSE subjects. This year, just over half of entries from UK schools have opted for 9–1 grading, suggesting that the choice of grade set is valuable. I would say that while Cambridge International sets the global standard for international education, we cannot afford to be overly prescriptive if we want to bring this expertise to millions of learners worldwide. We trust our schools to make curriculum choices that best suit their learners, using programmes from Cambridge International however best they can.